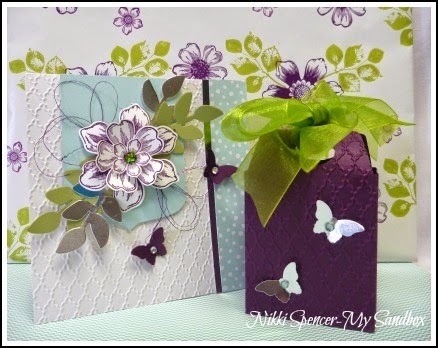 Good morning, ...Today's cute little gift box is made with Stamping Up's "Fry Box" die. 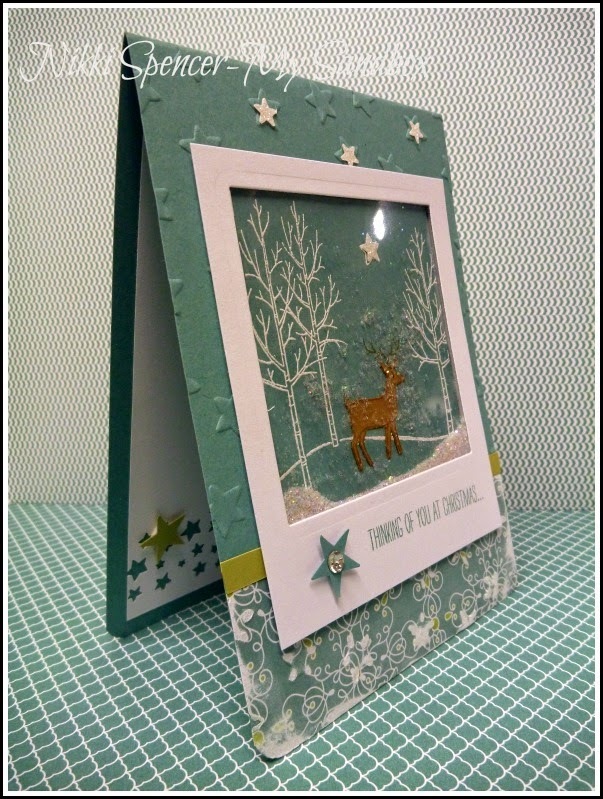 I came across a tutorial on Pinterest, which you can find Here, Val has created a lovely video tutorial, that is simple and easy to follow. I love it when you can use a die for other than its original purpose. 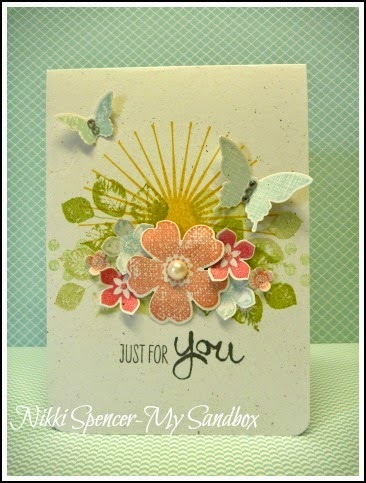 Tina has provided us with a cool sketch for this weeks Just Add Ink challenge. I had recently been asked about house warming cards/images, so decided to have a play with some punch art. As usual, the DT have some great inspiration for you, hopefully you can join us and play along. 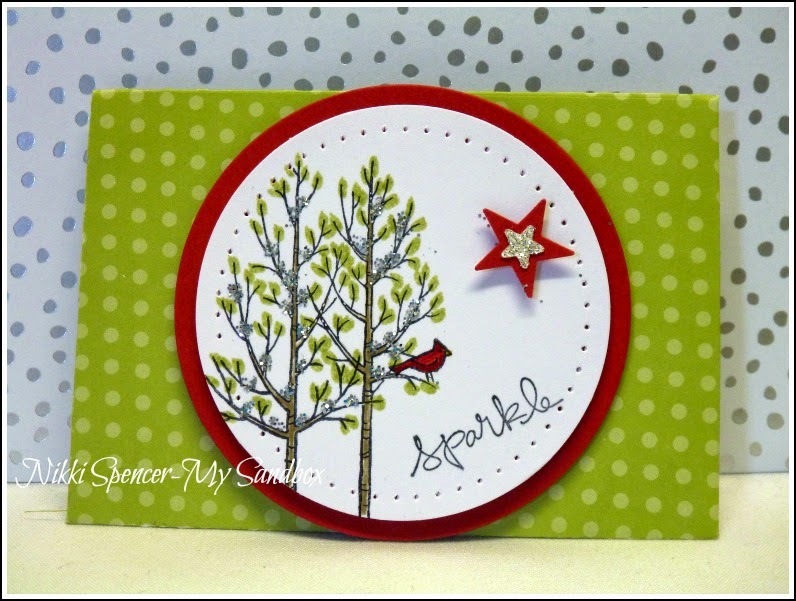 Hiya!....Today I'm sharing a simple 4"x 4" Christmas card using a technique shared at the Stampin Up "Inspire-Create-Share" event earlier in the year. You may notice that the first pic has no filigree twine. After taking the first lot of photo's, l decided it still needed something, but not much. So l added the twine and decided to share both, kind of a stepping it up so to speak. 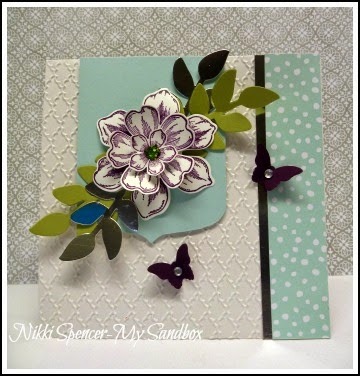 The colours l used are Soft Sky, Blackberry Bliss, Pear Pizzazz and some silver foil cardstock. 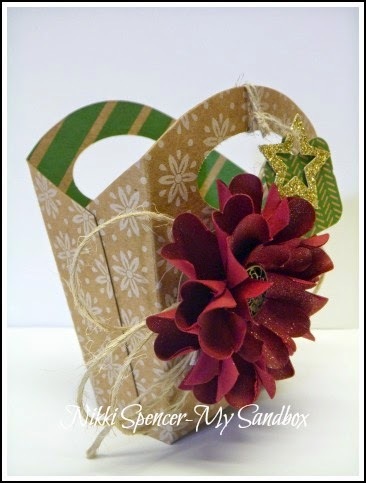 The leaves on the packaging were stamped with Lucky Limeade, as l wanted them a little brighter..So they matched the organza ribbon off cut, l had used on the box. 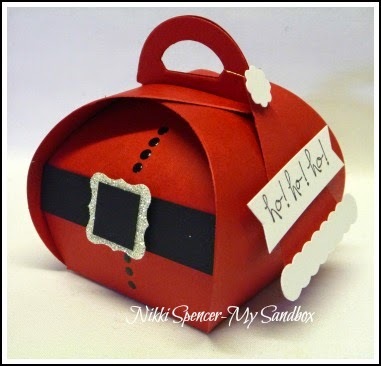 After being convinced that l really did need this super cute box die, l hit Pinterest to see what everyone was making and one of the most popular themes was Christmas packaging. There are heaps of very cute ideas, but the "Santa's Belly" one kept catching my eye..:0) I would normally give credit to it's origins, but with so many versions...I have no idea who came up with this cutie, but "Thank You" just the same. I have added my own spin with the "Santa's Hat"..:0) This was made with the Festival of Trees Punch and the Pennant punch for the scallops. 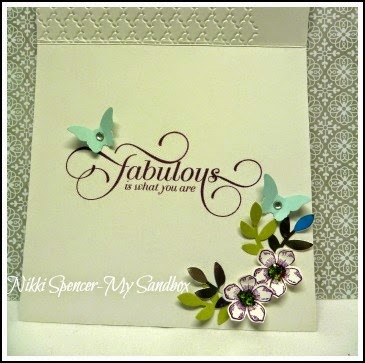 Over at Just Add Ink this week, we have a gorgeous inspiration pic provided by Kim. 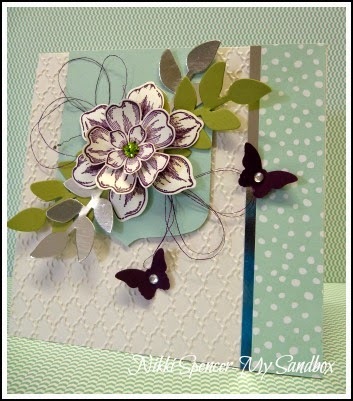 I was delighted to see this one pop up on our challenge list, it has such pretty colours and roses are always a fave with me. Although it hasn't photographed too well, the Tempting Turquoise cardbase l used was a perfect match for the base, but looks much more blue in my photographs. 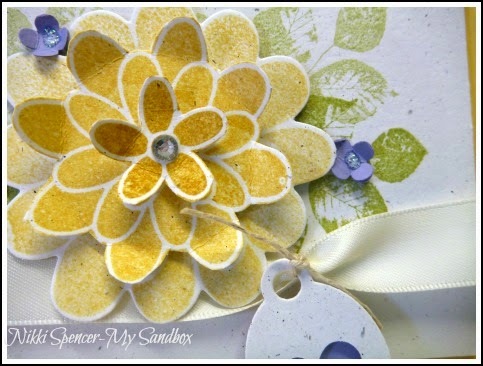 I used a combination of Daffodil Delight, Pumpkin Pie and Strawberry Slush for the Stippled Blossoms, in various stamped off strengths. 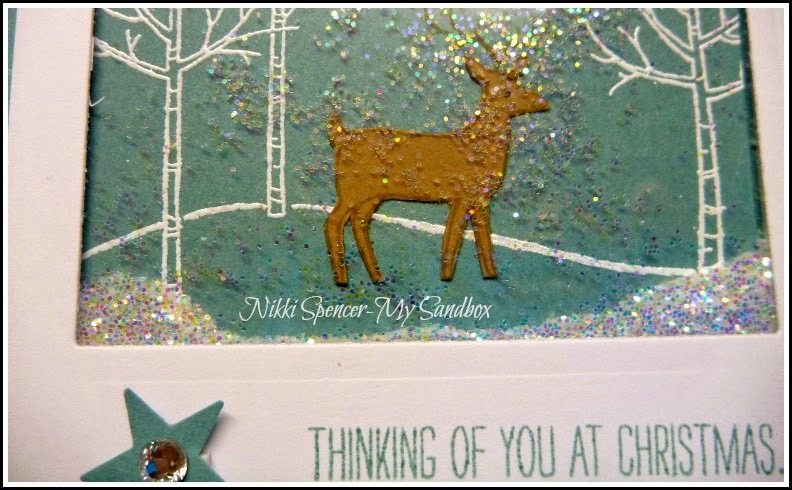 For the leaves l used Pear Pizzazz & Mossy Meadow, again stamping off to create different shades. 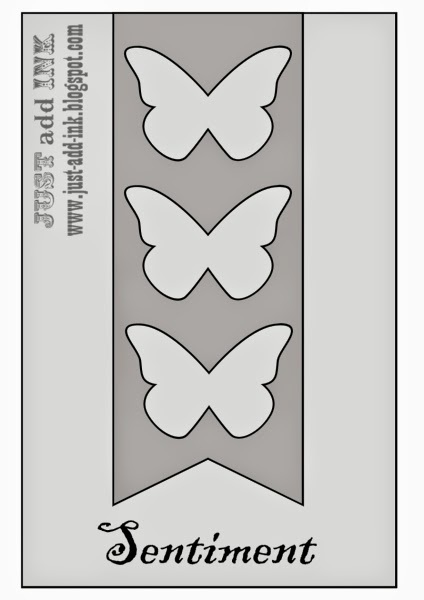 As always, the design team have provided some lovely samples for you! 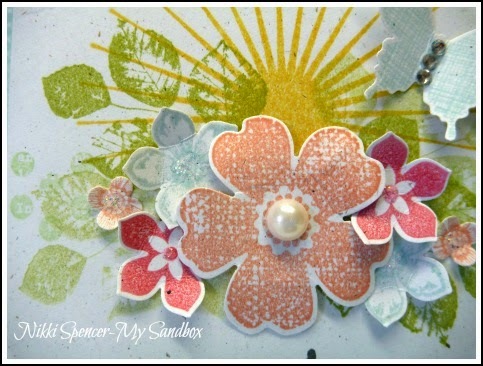 Hopefully you will be inspired to play along and share your take on this weeks pretty challenge. 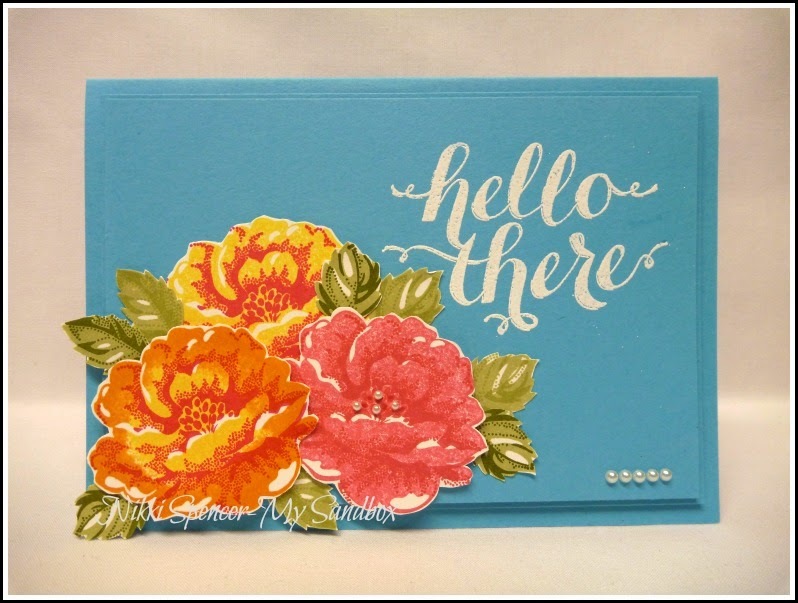 Hey blog friends!...Today I'm sharing a simple one layer (almost) card, using the Kinda Eclectic set and some of the lovely flower sets from Stampin Up called Flower Shop and Petite Petals. I didn't capture all of the inside details, but you get the idea. 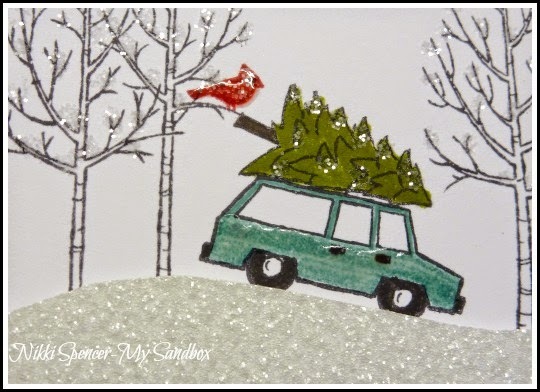 Good Morning!....Today's post is all about "ME"..:0) I am taking part in "The Creative Blog Hop", a continuous hop that happens every Monday where crafters from all over cyber world share about themselves and their creative processes. 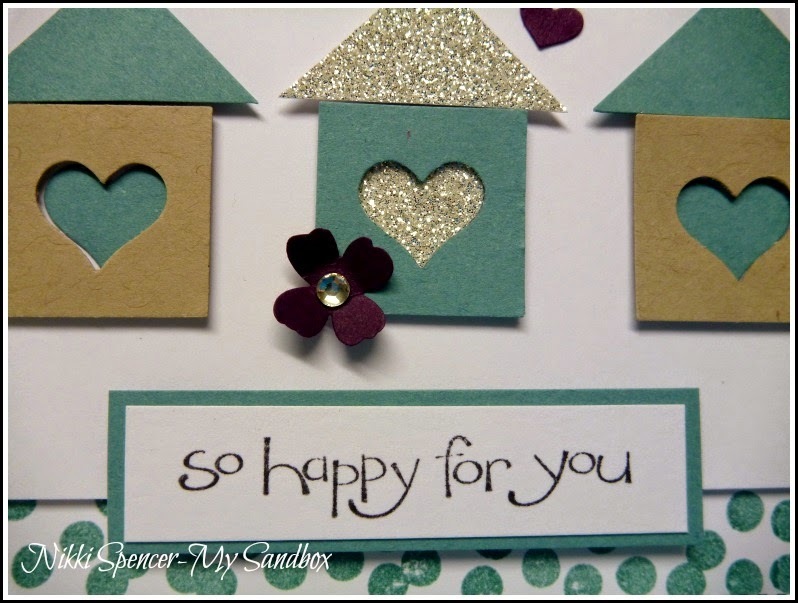 As part of the "Blog Hop" there are four questions to be answered and then at the end, we get to tag other crafters, that will then repeat the process the following Monday. I was tagged by my lovely and ever so talented friend Helen Hiel. 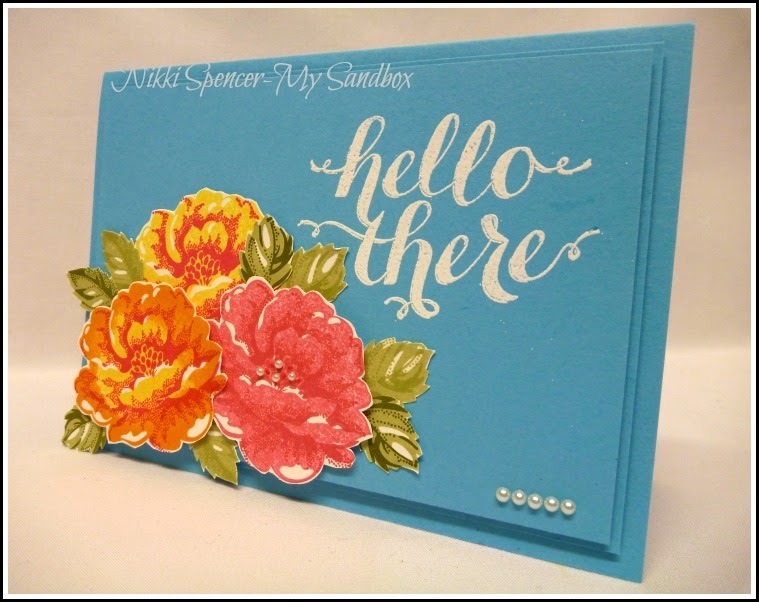 I originally met Helen through the Inkspiration challenge, where she was on the DT and helped me with my very first blog challenge. I am very lucky to live in the same state as Helen and therefore have the opportunity to catch up often throughout the year. 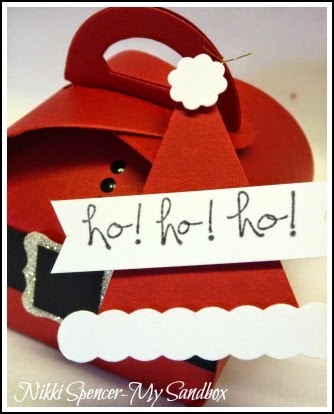 She is one very talented crafter and always blows me away with her "Think outside the box" creations. You can see her "Creative Blog Hop" post Here. 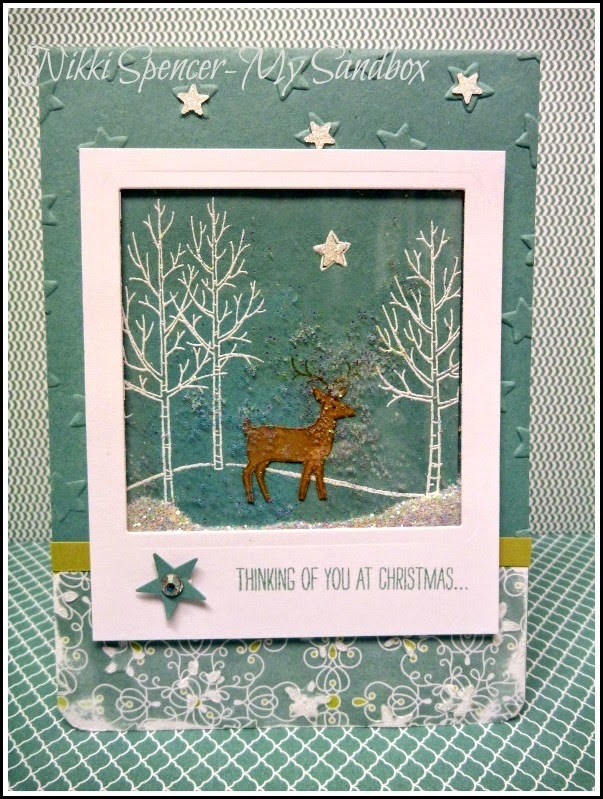 At the minute, l'm working on some upcoming design team samples and workshop/class projects and with so many new products available from Stampin Up, l'm jumping back and forth between Christmas and everyday occasions. Hmmm...Well this question had me thinking. I have to say l don't have a style as such. 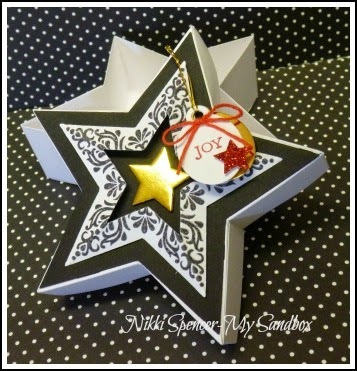 So many papercrafters who's work l admire and love, all have a very definite style. But l recently described myself as "Random", l like to create in many styles and although l lean towards clean lines and simple layers, l deviate into different styles depending on my mood and the inspiration around me. I create for a few reasons, the simple joy of creating something that l hope will bring pleasure to those l share it with, l love giving handmade! 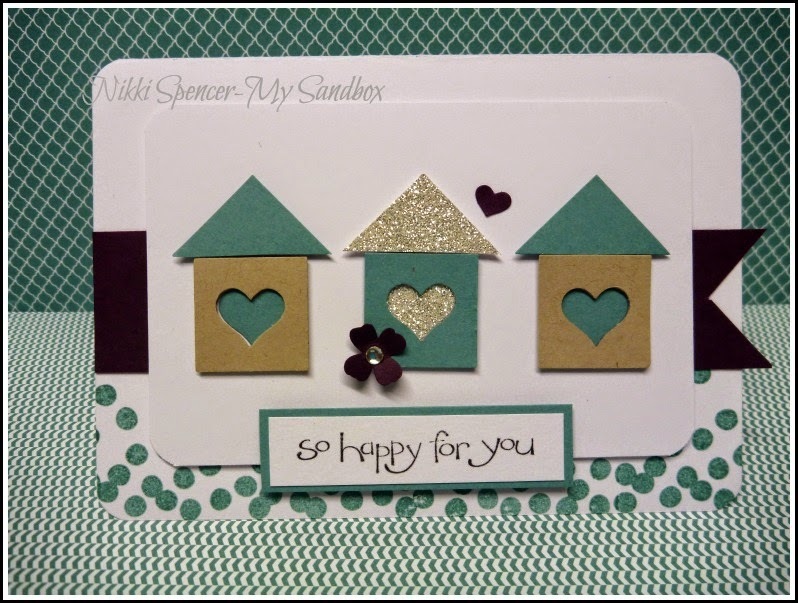 I love that through stamping and blogging, l get to meet so many lovely people and have made some wonderful friendships that bring so much joy to my life. Being a Stampin Up demonstrator also helps me raise funds for a mattress & bedding project at the Aura Sukma Insani Foundation through which we sponsor the education of some beautiful children, in the hope that having a chance at education, will help them achieve a brighter future. I'm lucky that by doing what l love, l get to see how it benefits them. Generally my creative process varies depending on the project. It can be defined by my design team commitments and the specific requirements for each challenge. Or new product l wish to share. 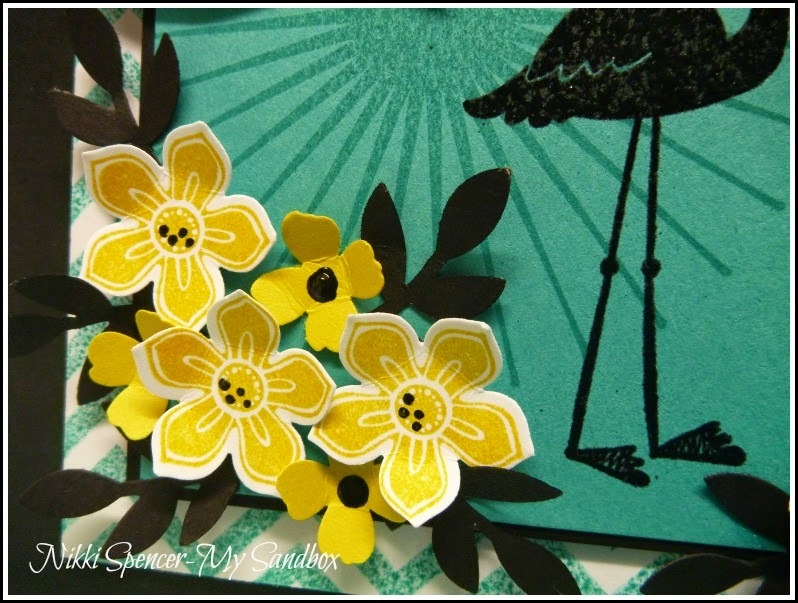 I find my inspiration in many ways, mostly l'm inspired to try new trends and techniques by the many talented papercrafters online and take my colour inspiration from many things in everyday life. As part of participating in "The Creative Blog Hop" l get to tag some of the wonderful crafters l know and they will, in turn, do the same the following week, Monday the 22nd September. Narelle and l met through our DT roles on Just Add Ink and finally in person at Stampin Ups Brisbane Convention last year. She is so talented and incredibly funny and l love her constantly high standard of creativity. Hi everyone – my name’s Narelle Farrugia. 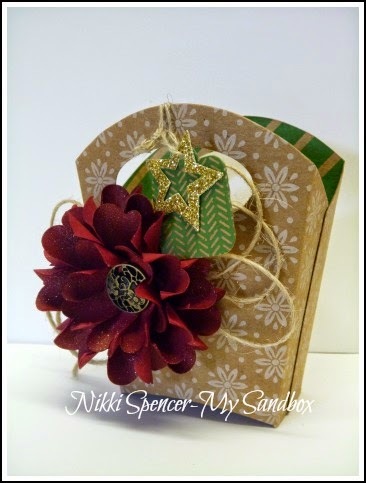 I’ve been a Stampin’ Up! Demonstrator for just a bit over 5 years now. I had absolutely no interest in anything crafty until I decided to put together a scrapbook album for my mothers 60th Birthday a few years ago. 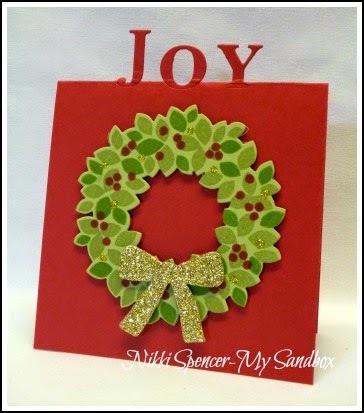 I then attended a class where we used Stampin’ Up! punches and from just using those punches, my interest grew. I attended a workshop and pretty soon after I signed up. This surprised me as I would never cut anything throughout high school and used the excuse that as I am left handed, I couldn’t cut straight. If you’ve been a visitor my blog you’ll have noticed that I got over myself and now fussy cut everything I get my hands on! 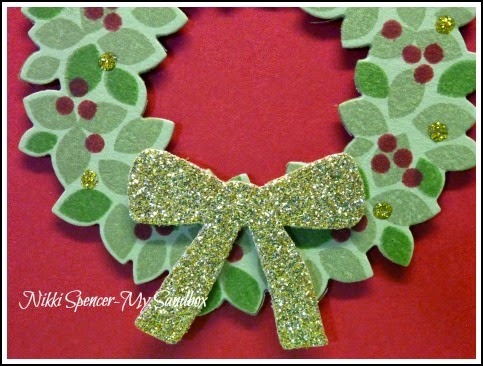 I thoroughly enjoy my craft time and head out to my craft room every chance I get. I call it “my time” and spend hours out there just playing around – you’d think with the hours I spend out there, I might actually find some time to clean it…..never happens though. I met Nikki through one of the Design Teams I’m on – Just Add Ink. I finally got to meet her in real-life about 18 months ago when I attended my first SU! Convention. Nikki is one of the loveliest and most genuine people I know! 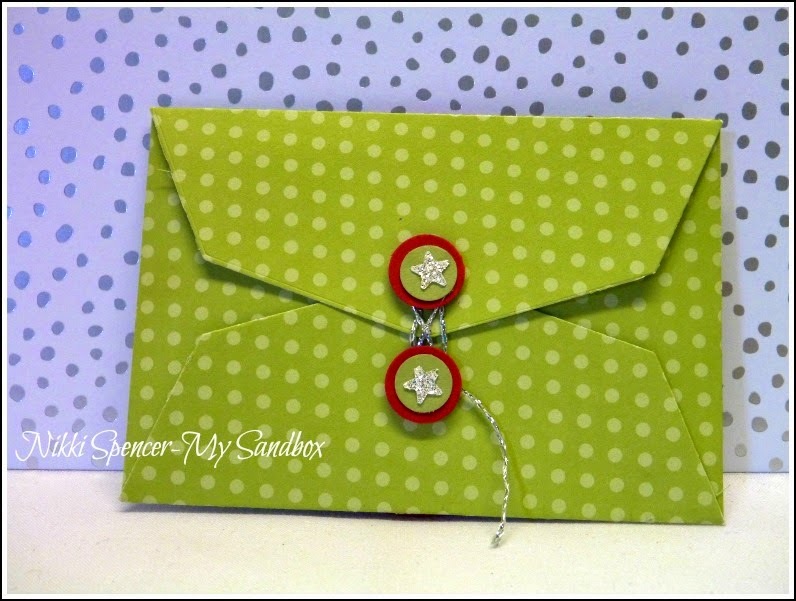 I was thrilled when she asked me to be part of the Creative Blog Hop. Thank you for the opportunity and for always inspiring me. Kim and l also met via the Just Add Ink design team, she is one of the sweetest people l know and l love that we get to spend a few days together each year. 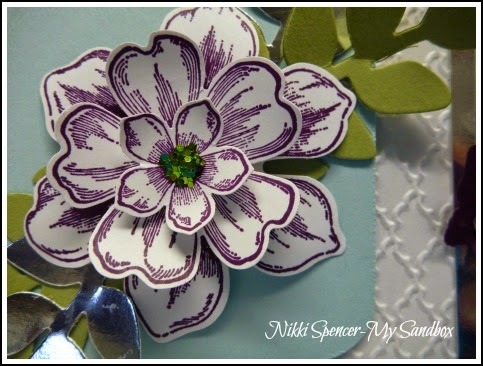 Kim is an incredibly talented crafter and her designs are a constant source of inspiration. She never ceases to amaze me how clever and outside the box her projects are. Hi my name is Kim. I’m married and have two children and one furbaby and we live in Canberra, Australia. 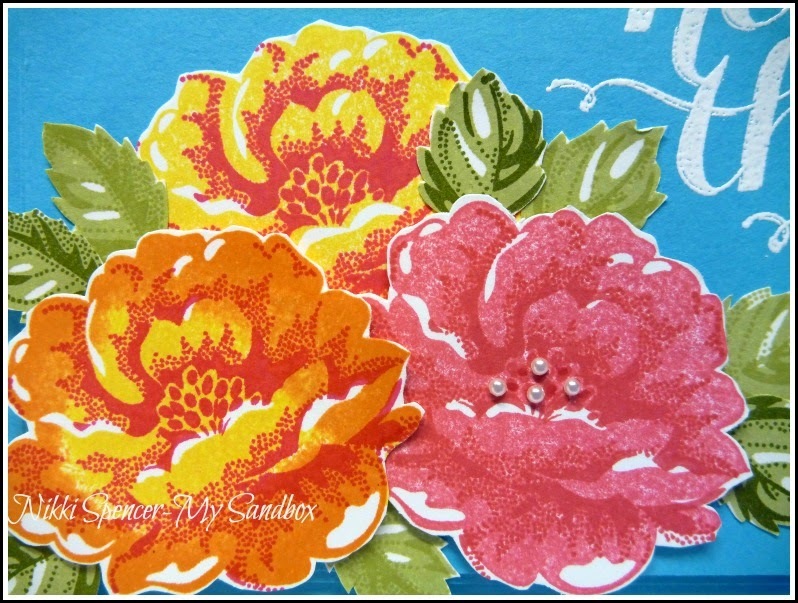 I started stamping about 8 years ago now - it was love at first sight – lol! 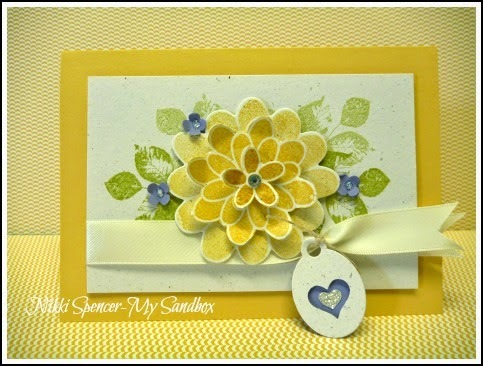 Creating for family and friends (many of them friends made through stamping) is as aspect of my life that I treasure and whenever I get the chance I pull out my supplies to play. 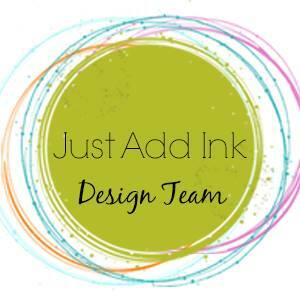 Patrice is also a fellow Just Add Ink design team member. I have loved the times we've spent together at Conventions, she is bubbly and full of life and her crafting style of clean and classy, often leaves me gaping at their simple elegance. Hi my name is Patrice. Originally from Christchurch, New Zealand I came to Australia in 1990 and I now live in Canberra, ACT. I'm a mum of three – Mr C is 14, and twins Miss C and Mr J aged two and a half. We have an adored and very spoilt dog called Lilli and two beautiful Mini Lop Bunnies called Humphrey and Bogart. After almost 20 years in the Public Service I took a sea change and now work at a special needs school part time. I’ve always been crafty in one way or another, from knitting and crocheting, to various needle work projects... 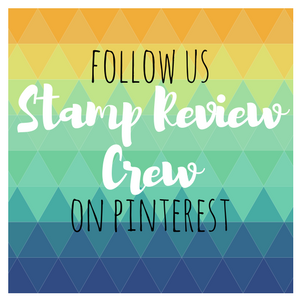 It wasn’t until I attended my first Stampin’ Up! 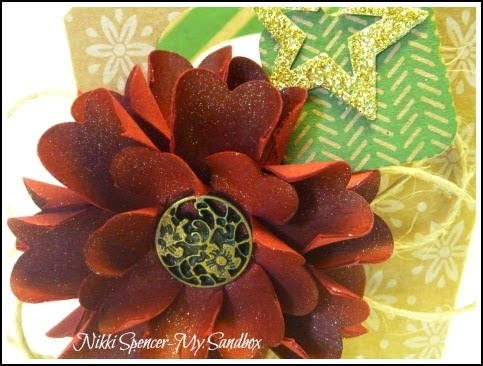 party in late 2007 and fell in love with the gorgeous coordinating products that rubber stamping came on my radar. 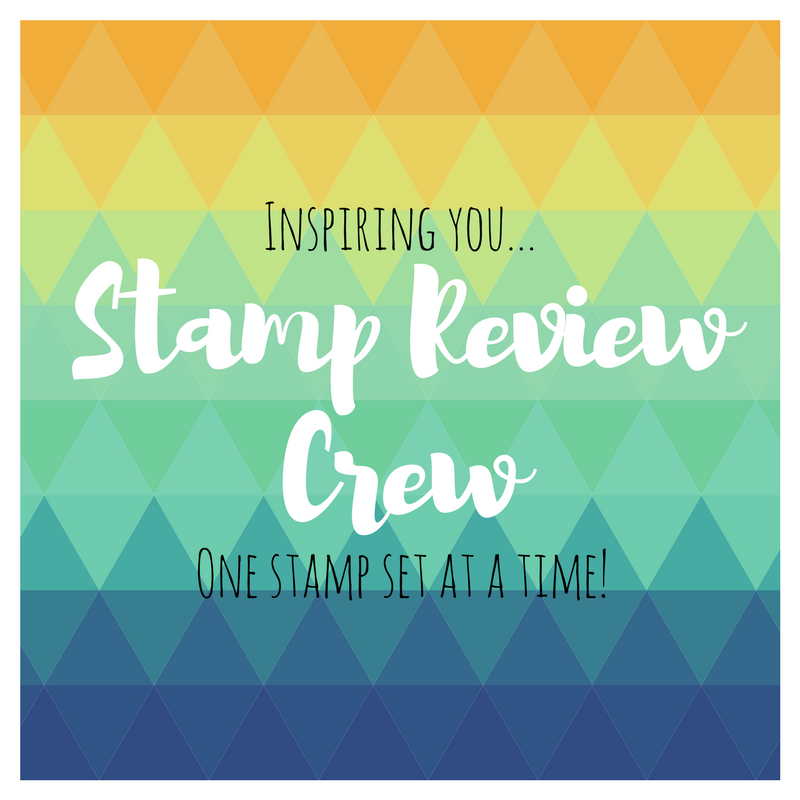 I signed up as an Independent Stampin' Up! ® demonstrator in April 2008 and I’ve been playing with ink and paper ever since. My style is fairly ‘clean and simple’, and I like lots of white space. I’m so grateful to have found this hobby – I’ve made some of my best friends, near and far via blogs and design teams. 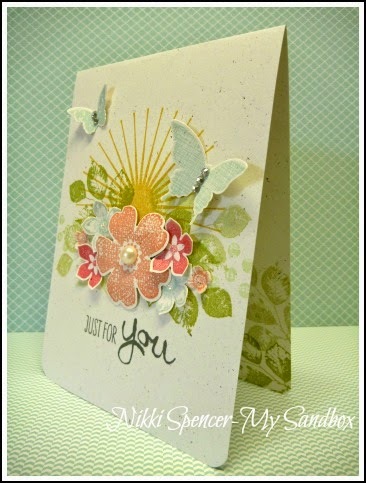 Thank you Nikki for tagging me in the Creative Blog Hop. 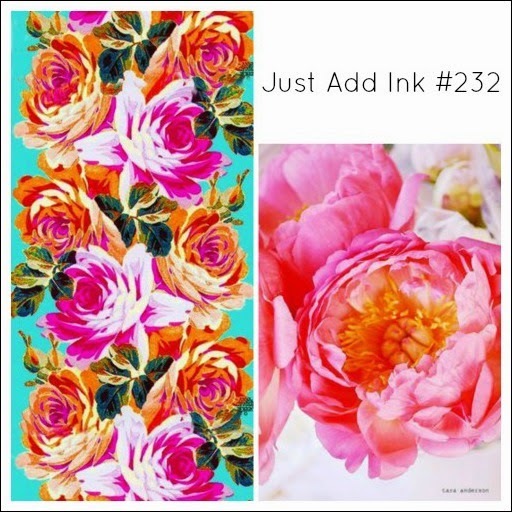 How lovely are these colours Mae has chosen for this weeks Just Add Ink challenge! 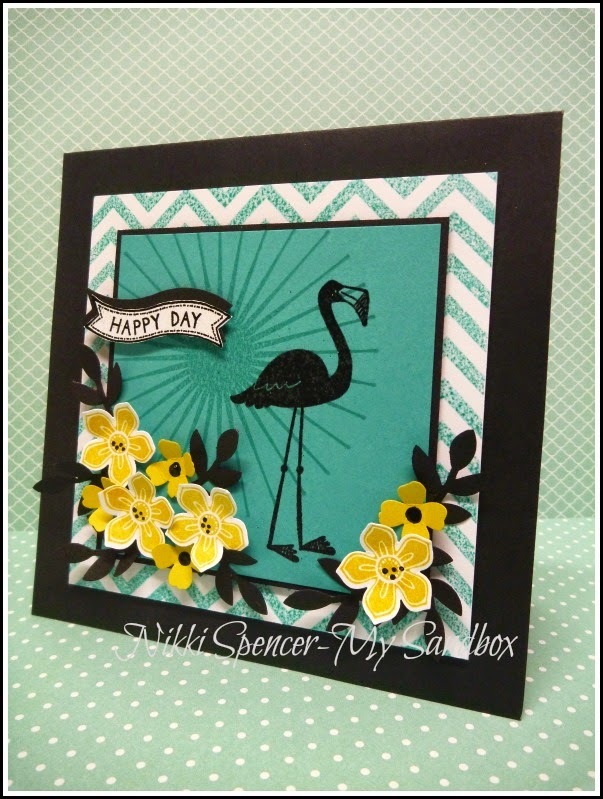 I had a lot of fun making this card and love the "Flamingo Lingo" silhouette embossed in black, it's such a cute set. I enjoyed mixing up the images and patterns from a couple of sets for something a little different and I'm pleased with finished look. The design team have created a rather varied array of projects using the same colours. It always surprises me how different our samples are, don't forget to pop over and check them out. 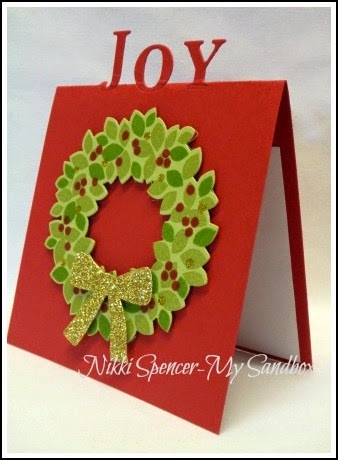 Hey there!..Just popping in to share a Christmas card Made with the "White Christmas" set, I've been having some fun with this set and have a few more projects to share. 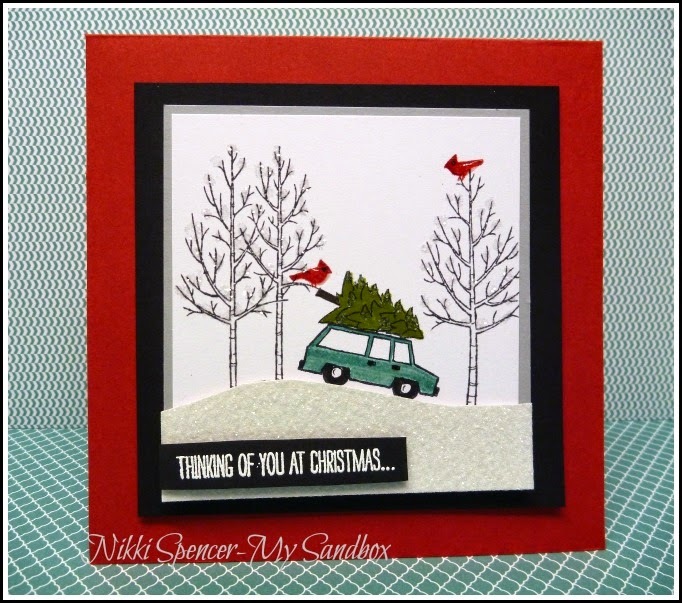 I decided to go bold and clean with this one, l think it would make a great guy Christmas card...not too fussy!